Several years ago, the 44° North Huckleberry Vodka absolutely bowled us over and we have been recommending it and selling it ever since. The flavored vodka category is a crowded area, and this company definitely gets it right. 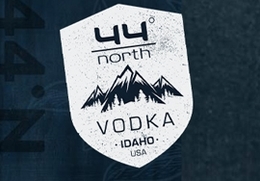 While a lot of mass produced spirits are made from industrial sourced neutral grain spirits, 44° North takes an artisnal approach using locally sourced ingredients and a five column, multi-plate distillation process to achieve that super smooth flavor profile. We don't recommend a lot of vodka at Ace, but this one is definitely worthy of a spot in the liquor cabinet.